Tryptic soy broth (TSB) is a general-purpose medium used for cultivating numerous microorganisms including Serratia marcescens, a Gram-negative rod commonly found in water and involved in pharmaceutical contaminations (1, 2). This study examines the growth characteristics and bacterial retention of S. marcescens (ATCC #14756) in five types of TSB: EMD TSB (type 1), EMD Irradiated TSB (type 2), EMD Non-Animal Origin TSB (type 3), EMD Non-Animal Origin Irradiated TSB (type 4), and Competitor A TSB (type 5). To compare the growth characteristics of S. marcescens, standardized cultures were prepared in each TSB and incubated at 30 °C. OD600 and titer measurements were taken at 0, 2, 4, 6, 8, 20, 24 and 28 hours. S. marcescens cells (24 ± 0.5 h) were imaged using a FEI Corporation Quanta 200F field-emission scanning electron microscope, and ≤100 cells were measured with Image Pro Plus v7.0 using a calibrated measuring standard. To assess the effect of different TSB types and the influence of TSB concentration on bacterial retention, testing was performed based upon ASTM F838-05 with S. marcescens cultivated in each TSB using semiretentive (~4 LRV) 0.45-µm Durapore® membrane at 30 psig. The cells were washed, and the appropriate type of fresh, warmed, TSB was added to each challenge solution at 0% and 4% in 0.1% Peptone (100 mL test volume). Statistical analysis was performed using Minitab, and results were determined to be significant if the ANOVA p-value was <0.05. No significant differences in OD600 or titer were observed between cultures; however, significant differences between cell sizes were observed. The average cell sizes and standard deviation of S. marcescens grown in different TSB types are in Table 1. There were no significant differences in width among cells grown in TSB types 1, 3, and 4, but cells grown in type 2 and type 5 were significantly wider. There were no significant differences in length between cells grown in TSB types 1, 3, and 5; however, cells grown in type 2 were significantly longer (but not significantly different from type 4). Cells grown in type 4 TSB were not significantly different in mean length from any other preparations. Statistical analysis of the retention data showed that in a feed stream without TSB, membrane retention was significantly higher with cultures grown in type 1 and type 3 TSB with mean LRVs of 4.8 and 4.7, respectively. Membrane was less retentive with cultures grown in type 2, type 4, and type 5 TSB with mean LRVs of 4.1, 4.1, and 4.0. In a feed stream containing 4% TSB, membrane retention was highest in type 3 TSB with a mean LRV of 5.3. This LRV was significantly higher than the mean LRVs obtained with TSB type 1, 4, and 2 (4.6, 4.4, and 4.3, respectively). Type 5 TSB proved to be the least retentive with a mean LRV of 4.1. This study helped to understand the relationship between matrix composition, microorganism growth, and bacterial retention by investigating the growth characteristics and size of S. marcescens as a model organism in aqueous solution filtration. For processes like media filtration where solutions containing TSB are utilized, the retention data generated in this study suggests that the highest sterility assurance will be achieved using EMD Non-Animal Origin TSB. Lia K. Jeffrey is a microbiological scientist III (lia.jeffrey@merckgroup.com), Danielle DeCesaro is a microbiological scientist I, and Soleil Le is a microbiological R&D technician at EMD Millipore, 290 Concord Road, Billerica, MA 01821; 1-978-715-4321; www.millipore.com. 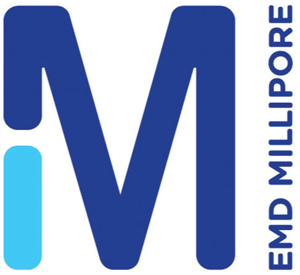 EMD Millipore is a division of Merck KGaA in Darmstadt, Germany.